The extend it 2x1 DVI KVM SL Switcher allows you to easily switch between two cross-platform DVI computers using just one DVI display and USB 2.0 keyboard and mouse. It's referred to as single link DVI to differentiate it from dual link DVI. 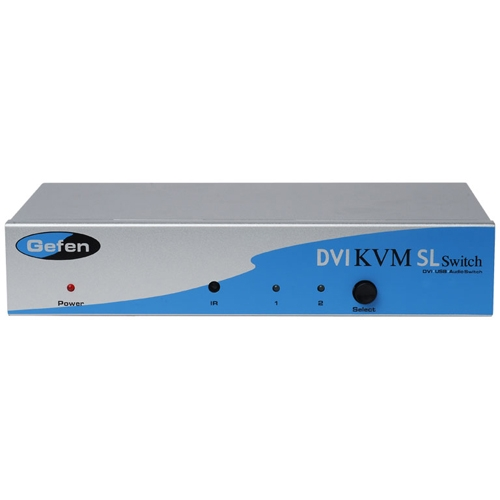 The DVI SL Switcher has automatic EQ circuitry built in that will improve the video quality when low quality DVI cables are connected to the switcher.